The nation’s uptick in homicide has law enforcement and policymakers worried. Can investments in technology help public safety departments keep cities safe? Smart cities offer the promise of a high quality of life. 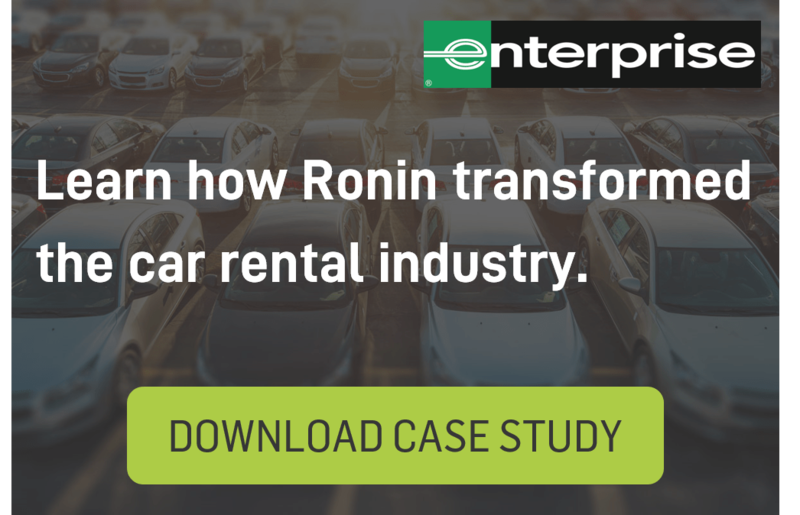 They are attracting new residents, businesses, and tourists with eco-friendly infrastructure, well-managed traffic flows, and unmatched economic opportunity. But as population density increases in thriving metropolitan areas, crime rates tend to rise as well. This begs the question: can technology improve public safety? Today’s crime rates across the U.S. are well below what they were 20 years ago. However, the recent uptick in homicide over the last two years in big cities like Chicago and Baltimore have many law enforcement agencies and policymakers worried. Public perception of even relatively safe towns can also be impacted by the media’s constant (and often sensationalized) reporting of crime. As a result, municipalities are exploring the use of technology to decrease the actual incidence of crime and improve their public image. Which Cities Are Investing in Technology for Public Safety? 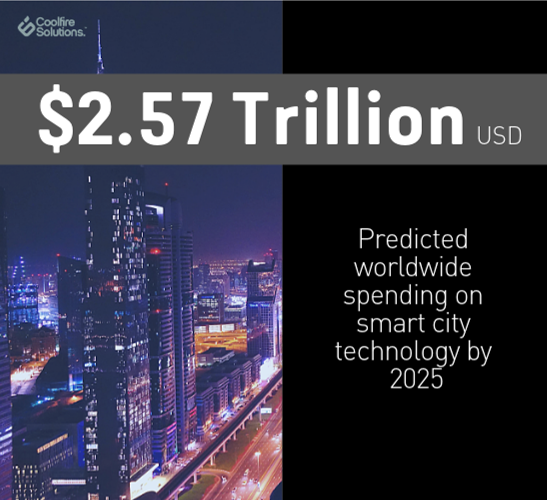 Worldwide, spending on smart cities is expected to top 2.57 trillion USD by 2025. 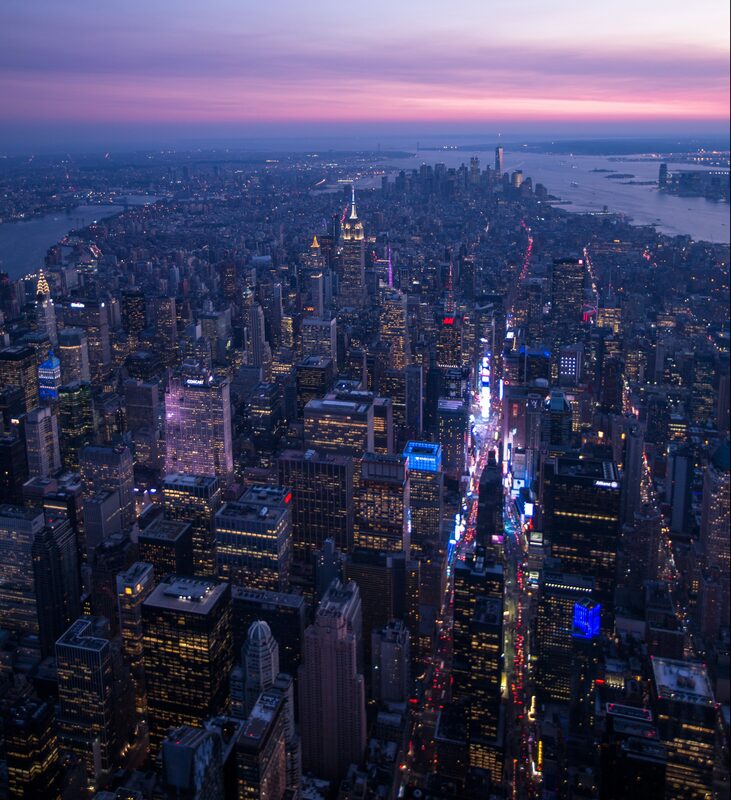 In the U.S. alone, 2018 is likely to end with $18 billion spent on smart technology—with New York leading the way. Other cities that have significant investment and infrastructure in place include San Francisco, Chicago, Seattle, Austin, and Boston. But even smaller cities have advanced to the point of using tech such as connected surveillance cameras and digital applications that optimize emergency response. In addition to smart surveillance, cities are investing in real-time crime mapping, crowd management, gunshot detection, and predictive policing. On the boundary between public and private sectors, personal alert applications and web-enabled home security systems are joining the mix, providing law enforcement with more data and enabling faster response times. 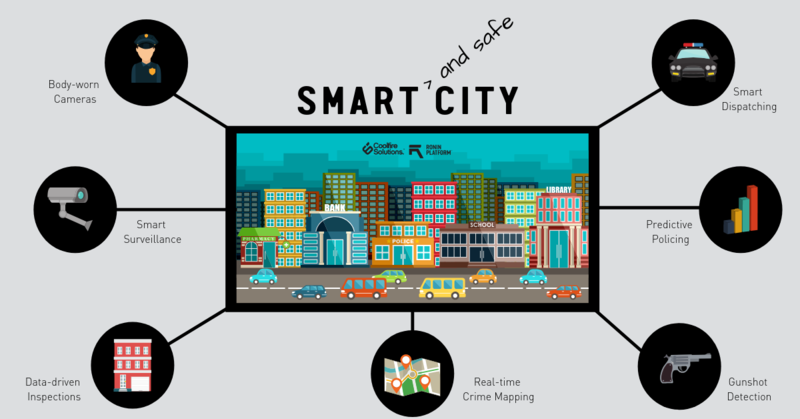 What Are the Public Safety Outcomes for Smart Cities? According to research conducted by McKinsey Global Institute, smart technology may reduce overall crime rates by 30-40%. It could also drop the rate of untimely death due to homicide and other causes by up to 10%. In 2012, Los Angeles piloted predictive policing software that reduced crime by 13% in participating precincts. In Detroit, a solution as simple as providing police with real-time access to video surveillance in and near gas stations has reportedly dropped violent crime rates by 50%. Each intervention carries its own benefits depending on the nature and frequency of crime within a given area. In a city like New York with concentrated areas of criminal activity and rapid emergency response, gunshot detection might drop homicide fatalities substantially. In an area with more dispersed criminal activity, real-time crime mapping could deliver a similar benefit. For many cities, starting with analytics makes sense. A retrospective look at the data would inform future technology investments by clarifying the nature, frequency, and density of each type of criminal activity. Even better, a blend of historical and real-time data can be used for predictive policing to deploy resources to hotspots and prevent crime. What about individual solutions? While personal alert systems have not been shown to have a substantial impact on decreasing crime, they do improve the perception of control and safety for citizens. Such connected devices can serve multiple uses, particularly for an aging population in urban areas. Government agencies and public safety leaders may choose to invest in or subsidize these solutions as part of an overall campaign to improve the appeal of their city. Cities across the U.S. that are committed to public safety are earmarking a portion of their municipal budget for public safety technology. Even a small percentage from cities such as Washington D.C. whose municipal budget is 1.3 billion and New York City with 5.1 billion, could be huge. But can investments in technology lead to safer cities without putting a dent in the municipal budget? Joint efforts between public and private actors are likely to be the answer. McKinsey’s report suggests that as much as 60% of the investment in smart city technology will come from the private sector. As an example, LinkNYC was launched in 2016 as a public gigabit Wi-Fi hotspots system providing high-speed internet access across the city. The goal is to connect 7,500 police stations through mobile and internet capable devices. But the public also has free access to the network for personal use. The entire $200 million-dollar network deployment project is being paid for via advertising on the Wi-Fi platform, without costing taxpayers a dime. With residents and businesses demanding solutions, forward-thinking city leaders and public safety advocates will continue to partner with technology companies to create a smarter future. Can connected technology rapidly improve public safety outcomes for your city? Contact our team for a discovery session today. Check out our Resources Page to learn more about Coolfire Solutions and our commitment to smart public safety.